Massachusetts Pirates. The roster has experienced some changes this offseason as they bring in some new talent alongside their existing core. Coach Back will have the support of a strong group of starters from the 2018 season. Among them star Quarterback Charles McCullum, who lead the team in passing, rushing and total offense will be returning for the Cobras. He will be supported by returning offensive linemen Joe Harris and Chad Kolumber, as well as other new faces. Two of the top four receivers from last season are returning; Jordan Jolly and Fabian Guerra. Among the new faces to this aerial assault are Tyree Robinson from Western Kentucky, rookie Kyrin Priester from Washington State, and Greensboro local James Summers. The defensive side of the ball is returning their top three tacklers; Cedric Poole, Mike Green, and Darius Thomas. The Cobras defensive line retained Walter Thomas and added Syracuse product Micah Robinson, former Carolina Panther Steve Miller, as well as Jarrell McKinney and Se’von Pittman. Kicking for the Cobras will be 2017 1st Team ALL-NAL Special Teams Player of the Year, Nick Belcher from South Carolina State. 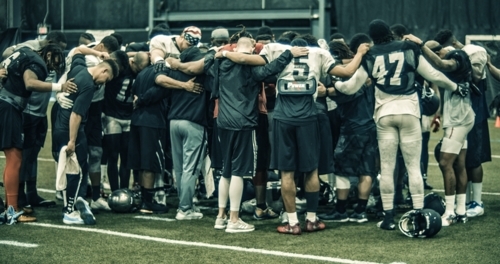 After their 66-8 victory over the Columbus Lions to win the NAL Championship last season, the Carolina Cobras and Coach Billy Back believe they have put together the necessary pieces to chase that title once again. 12 WR LOVIE ROSE JR.